blog Right now, in the Gold Coasts’s huge Convention and Exhibition Centre, thousands upon thousands of Microsoft-focused IT professionals are geeking it up, Redmond-style, as the company’s massive annual TechEd confab kicks off. Sadly, your humble writer has been unable to attend this year (in any case, I don’t think my liver would be able to stand up to the kind of abuse TechEd would throw at it), however I’m still keeping an eye on proceedings remotely, including the many announcements Microsoft tends to make at TechEd every year. We recognised that in order to achieve the network flexibility and scalability required to manage a growing number of stores we needed a comprehensive cloud platform, which is why we’ve recently gone live with Microsoft Windows Azure within our point of sale systems. We were already using Microsoft Office 365 from a productivity perspective, so Windows Azure was the logical next step … We’re currently rolling the solution out to our stores in phases, and have over 100 connected to date. Around 40 per cent of those deployments have taken place in Australia, with the remainder occurring in the UK. There were a number of drivers behind our move into the cloud, but perhaps the most important was being able to deliver consistent IT capabilities to a number of different continents and countries. When you have as many stores as we do it’s not good business practice to purchase, deploy, configure, and install software on a server in each individual retail outlet. Nor is it practical to be building or managing data centres in each country you operate. What you’d end up with is a series of complex, fragmented and costly IT systems. The other driver was security and data back-up. When managing your own data centre you need to worry about issues like disaster recovery and encryption. Windows Azure automatically delivers this capability to Cash Converters, freeing up time for us to focus on other areas of the business. MYOB chief technology officer Simon Raik-Allen also discusses how the software houses uses Windows Azure to support the company’s burgeoning online business (particularly how its scalable capabilities helps MYOB around tax time) and Canon Australia digital project manager (digital marketing Myles Lawlor discusses how the company is using Azure to facilitate storage of its customers’ photos taken with Canon cameras. To be honest, we haven’t seen a huge number of Windows Azure customer stories from Microsoft over the years since its launched, with customers generally appearing to prefer to adopt platforms such as Amazon Web Services. However, I am tracking a ramp-up of use of Azure recently by Australian customers. 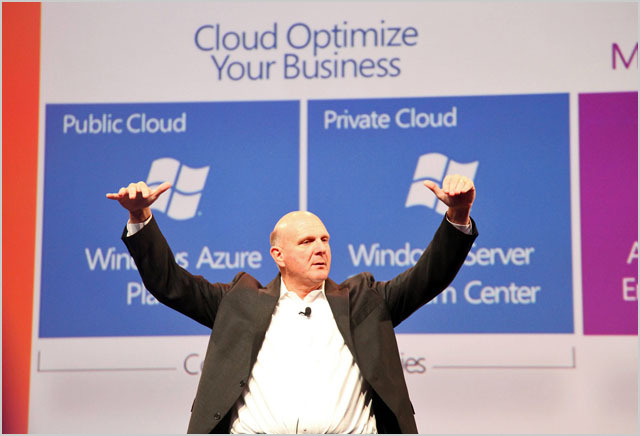 I expect this trend to continue to accelerate as Microsoft launches Australia-based Windows Azure datacentres shortly. we’ve tried it, its a big #fail so far. We live in hope they get their sh1t together soon though. My experience with Azure has been very positive. It’s been running flawlessly for several months now, and costs way less than what the internal IT department was going to charge for in-house servers. Of course it’s not going to be a perfect match for every use case, but there’s some very impressive tech behind it all and it’s getting better all the time. Kind of surprised there’s not boxes of cloud shaped sunglasses being handed out! We’ve been using it almost exclusively for the last 6 months or so. Still keen to see when the Australian POP’s are going to launch… I heard whispers that it won’t be ready for production until 2016.